Put Robert Maniscalco’s 38 years of experience to work for you. 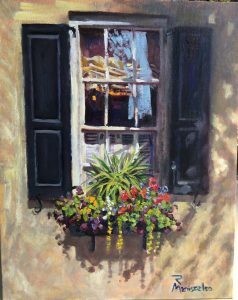 Taking regular classes, private lessons or two and three day portrait painting workshops have lead to many successful painting careers all over North America. His “secrets” were no secret to the masters. Based on the Frank Reilly Method, Robert has adapted this amazing painting system to the needs of the modern realist. P3 participants explore value-based “light on form” painting methods to create expressive, colorful, accurate professional level portraits and fine art. Also, as the P3 title suggests, Robert’s philosophy of teaching, as well as his approach to painting, is “positive.” Robert’s teaching is all about taking positive action, constantly moving forward in our process. He is proactive. Participants develop confidence through their reliance on knowledge, rather than some mysterious force we call talent. The task before us, painting form in a convincing manner, is normally presented as possible only to those “talented” few. Robert has taken talent out of the equation. He realizes if a person can’t read and write, it is highly unlikely he will ever publish a book. A musician must train her ear and practice to achieve command over her instrument. Likewise, artists must train their eye to see the subtle changes in values and develop a visual literacy and sensitivity if they want to begin to paint their vision. Robert has discovered the trick to seeing like an artist sees. Good news: it’s not rocket science! Robert empowers his students with ancient knowledge, so that with practice and application, they too may begin to see and paint like a master. Like Picasso, who learned the rudiments of visual literacy before he found his style, Robert recommends we engage in the process of achieving mastery over the visual elements, if for no other reason than to give us confidence and authority to go after our ultimate vision. Who knows where that journey might lead? Most amateur artists focus on a color’s hue, all the wonderful colors in the rainbow. Let’s face it, hues are more fun, like a kid in a candy store, right? Robert’s focus, however, is on breaking down the fundamentals, the ones most teachers tend to gloss over of skip altogether. Maybe they assume you know it because they do. Maybe they are hoarding this knowledge because they are afraid it might put them out of business. It seems like magic, but it really isn’t. This is where the magic trick (and true joy) of representational painting starts, creating the illusion of form with an understanding of light and value. Robert teaches a method of seeing and understanding, rather than a specific technique. Robert provides a great crash course in painting and drawing; all levels of experience are encouraged to participate. He has a way of breaking down the complex elements of painting and drawing so even an “art spirit” can understand it. Considerations such as organic composition, responsive drawing with the brush, the use of “envelope” to analyze the essence of shape, expressive use of color, accurate color mixing, preparing an effective “Power Palette,” adding rich halftones, building strong paint quality, varying edges, and achieving color harmony are all covered. Robert will also get into the nuances of handling the brush as well as setting up, executing and recognizing the master-stroke. Robert will help you on the road to developing your style by helping you identify your own priorities and vision for your work. 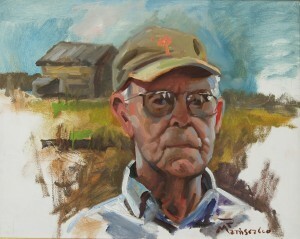 Have Robert present a Portrait Painting Demo at your next Guild meeting. Robert will reveal his legendary Power of Positive Painting© Method of portrait painting from life. His no nonsense approach goes directly to the heart of the matter. His simple “Three Rs” drawing technique and value-based painting approach demystifies the process so you can quickly get to the fun stuff. Have you noticed how many artists avoid the figure and the human head in their work? This course will give you the skill and confidence you need to bring life into your art. Maniscalco will also include plenty of professional tips unique to portraiture as a career. Many past participants have expressed they learned more in three days with Robert than in all their college art courses combined. The Power of Positive Painting©. Robert recently released the Second Edition of his book: Point of Art, which includes plenty of information about his value based system as well as a plethora of inspiration and technical know-how. Click for more FREE information about this painting system. Robert’s workshops and classes will give participants lots of concrete information on how to paint fantastic professional fine art portraits! Whether you’re a beginner or a professional The Power of Positive Painting© experience will deepen the way you paint! 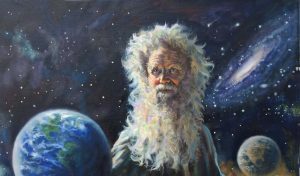 Get more information about the Portraits of Robert Maniscalco. Many participants have repeated the workshops because there is always more to get from the Power of Positive Painting. Register for ongoing P3 Workshop today! Artist Discount on Materials! MisterArt.com: The world’s largest online discount art & craft supply store!